Looking for a new Jaguar I-PACE for sale near Chester Springs? Look no further than our inventory of new I-PACE models in stock here at Jaguar West Chester. The I-PACE electric motor has a range of up to 234 miles all while delivering power capable of 0 to 60 mph in 4.5 seconds. Enjoy sophisticated Jaguar luxury and style in this electric sports car that’s changing the definition of what an electric vehicle can be. Browse our I-PACE models for sale online to discover the perfect one to drive home to Newtown Square. For more information please look at our Auto iPacket... it really has so much information on the exact equipment on the one you're looking at. Call or email us for any further questions about an unit.. Just give us the stock number when you call  610.436.0600.Gray Metallic 2019 Jaguar I-PACE SEBluetooth / Handsfree Calling.AWD Single-Speed Automatic Electric ZEV 394hpFor more information please look at our Auto iPacket... it really has so much information or exactly the equipment on every car. Call or email us for any further questions about an unit.. Just give us the stock number when you call. 610.436.0600. For more information please look at our Auto iPacket... it really has so much information on the exact equipment on the one you're looking at. Call or email us for any further questions about an unit.. Just give us the stock number when you call  610.436.0600.Black Metallic 2019 Jaguar I-PACE HSEBluetooth / Handsfree Calling.AWD Single-Speed Automatic Electric ZEV 394hpFor more information please look at our Auto iPacket... it really has so much information or exactly the equipment on every car. Call or email us for any further questions about an unit.. Just give us the stock number when you call. 610.436.0600. For more information please look at our Auto iPacket... it really has so much information on the exact equipment on the one you're looking at. Call or email us for any further questions about an unit.. Just give us the stock number when you call  610.436.0600.Red 2019 Jaguar I-PACEBluetooth / Handsfree Calling.AWD Single-Speed Automatic Electric ZEV 394hpFor more information please look at our Auto iPacket... it really has so much information or exactly the equipment on every car. Call or email us for any further questions about an unit.. Just give us the stock number when you call. 610.436.0600. All New vehicle sale pricing includes all offers and incentives in lieu of special finance or lease programs from Chase Finance. If using special lease or finance programs to purchase, pricing will vary. Tax, Title and Tags not included in vehicle prices shown and must be paid by the purchaser. While great effort is made to ensure the accuracy of the information on this site, errors do occur so please verify information with a customer service rep. This is easily done by calling us at (800) 446-8180 or by visiting us at the dealership. Your business is of the upmost importance to us and we are committed to 100% transparency with our customers. 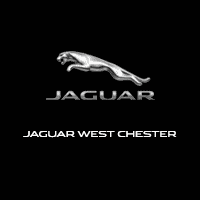 Here at Jaguar West Chester, our mission is to make it as simple as possible for you to get behind the wheel of the new Jaguar of your dreams. By offering a number of rotating new vehicle specials and Jaguar national offers, we give Aston drivers an opportunity to own a new I-PACE at a competitive price. Once you’ve browsed our inventory of new I-PACE in stock, it’s time to take one for a test drive. Contact us today to schedule your visit to our showroom in West Chester near Chester Springs.